Being social is very important, social media along with technology, enables blind to socialize too and breaks the barrier of remaining aloof. Blind, using FaceBook & Twitter??? Mostly people think access to social media for blind people is just not possible, but with little guidance & training, even they can be huge contributor. 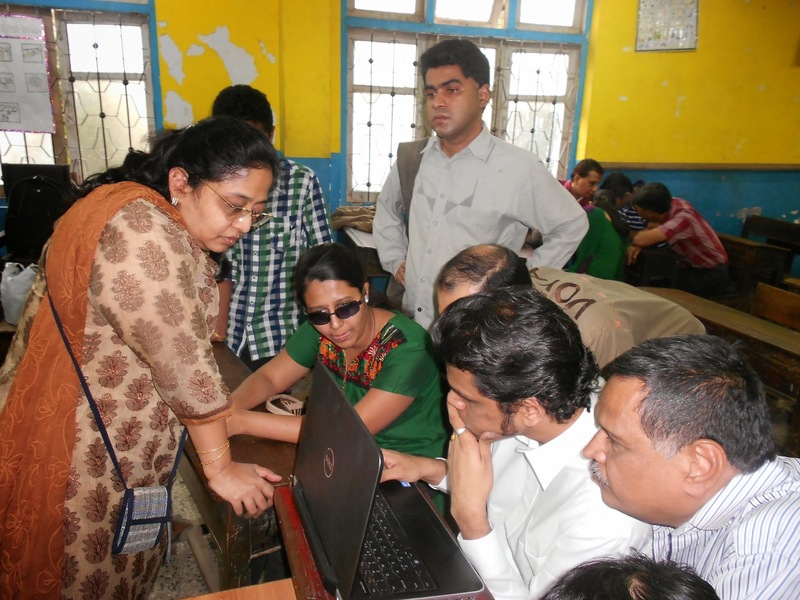 To address this need, Voice Vision supported by 4 visually impaired professionals, organized a “Social Media” Training for the visually impaired on December 22, 2013 at Malad West, Mumbai. . The “Social Media Networking Hands-on Workshop” was a day long workshop, with equal mixture of theoretical explanations and practical demonstrations by the trainers. Unique of its kind, training especially designed for visually impaired gave them an overview about introduction to Face Book & Twitter, its importance, orientation to the layout of http://m.facebook.com  & http://m.twitter.com , creating a profile, tips on keeping one’s information secured, adding friends, posting, sharing, liking, tweeting, following, hash tags & their usage and much more. The training gave them tips & techniques to access FaceBook & Twitter using their laptops, mobiles irrespective of the OS (Android, IO’s, Symbian) using the screen reading software & various keystrokes. “Till now mobile phone helped to make phone calls & stay in touch, now it helps me to enjoy my friends conversation on facebook & twitter as well.” Comment a participant. Many other requested to organize such workshops frequently. We had 10 participants for the said workshop, which opened a new world of friends & information. So far, Voice Vision has trained 20 people on social media usage. Considering there are over 50,32,463 million blind people in India, we feel there is a long way to go. We would like to thank our trainers Mr. Shriram Parthasarthy, Mrs. Vibhuti Sheth Nagarmath, Mr. Amar Jain, Mr. Apoorv Kulkarni, who helped to design the training module & delivered the same with utmost ease. Agreed to volunteer for the training irrespective of being busy in their professional career . Gratitude to all the volunteers from Ascent Networks Pvt. Ltd. Along with other individual & corporate volunteers, who supported in setting up participants mobile with internet connectivity, escorted them to move within the venue & have refreshments.Special thanks to the Trustees of Umedbhai Patel English School, for extending their venue support for this & many other events. Lastly thanks to all the participants to believe in us & participate in the social media training hands-on workshop. Next PostNext Global CSR Day!